Jenny is a Korean certified court interpreter. 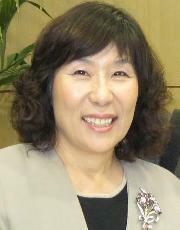 She is the founder of LA Institute of Translation and Interpretation. A professor of simultaneous interpreting, she has interpreted for many large multinational corporations such as LG and Samsung, as well as international conferences. She holds a Ph.D. in politics. Simultaneous interpreting for FBI conferences, Los Angeles, California, March 2010. 1/2000 to Present State of California Certified Court Interpreter, U.S.A.
- Established sister relations with 5 schools. - New Bridge University, California, U.S.A.
- Concordia University, Irvine, U.S.A.